Many moons ago, when I was a new Blythe owner, I was a bit confused by how Blythe had an amazingly massive head in person when it didn’t seem that big in photographs. The sound of the eye mechanism was also a lot louder than I expected (the soft Kenner ‘pip’ is a lot closer to what I thought Neo Blythes would sound like), and the downcast eyes in dolls that didn’t have a gaze lift reminded me of the beginning of a surly teenager about to roll their eyes. Sophie was my first Blythe and she was also the first Blythe doll that I ever held in my hands, and I really just did not know what I was doing. I mean, she had a giant head, make a loud noise whenever I changed her eyes, and her stock wasn’t exciting to me. I had a lot of expectations wrapped up one little doll because of the many dollars I had spent on her. I’d loved seeing photos of Blythe online for years and then I finally had her and her head was a lot bigger than I thought it would be. But then I looked at her, really looked at her, and realized that she just really needed a different outfit. 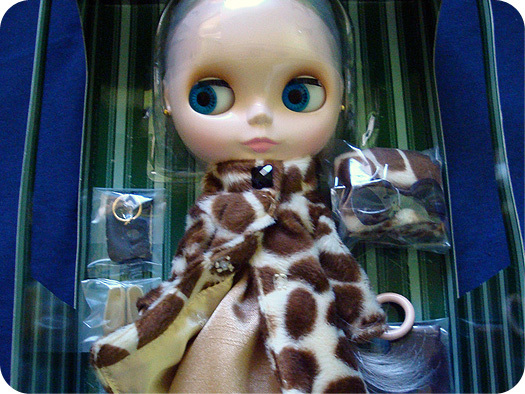 All the photos that I loved of Blythe was always the photos from owners where they had their dolls in non-stock outfits. That isn’t to say that I don’t love stock clothing, because I do, but sometimes stock clothing from some dolls look better on other dolls. Sophie is probably very glad that she no longer has to wear a beige dress or a giraffe print coat, because neither did very much for her colouring. 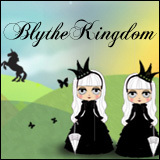 That’s the great thing about Blythe, the smallest thing can make the greatest change. Now I find as much joy in Blythe herself as I do her amazing wardrobe and shoe closet (and we all know how I love the little shoes). With my newest addition, Lydia Melbourne (Yellow Marshmallow, the Middie), I’m super pleased that she’s joined my family after getting the chance to see one in person earlier in 2014. The two-toned hair is amazing, and she’s got pretty decent bangs – which is always a plus with stock dolls. I don’t have very many Middies (I have two: Jackie Ramone and Yellow Marshmallow), which means that I also have very limited outfit choices for them, which is a shame because they are very cute. I find that I enjoy Middies quite a bit because of the adorable head tilt that they have the ability to do. There’s just something about the Blythe (and Middie) that really hits me in the feels when it comes to having a bad day and keeping a pick-me-up, or to just have something happy to think about. 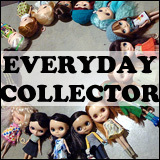 And having a doll or two (or five!) around really puts a smile on my face whenever I see them. It’s like they radiate joy and it’s infectious. 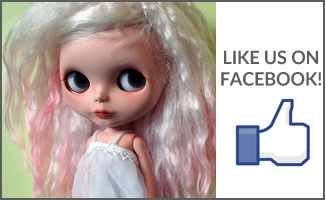 QOTW: What’s your favourite Blythe photo that you’ve taken?